Denny Halgren is considered by many writers and estute catfishermen around the country to be the nations top Flathead Guide. After seeing him in action you will agree. Learn from the veteran flathead master what it takes to land these massive and elusive predators of the deep! 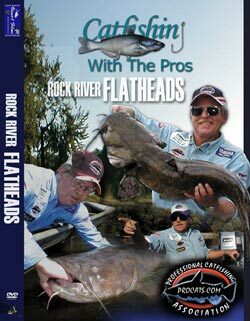 Halgren discusses his secrets about bait, tackle, timing, flathead location, conservation, and offers insightful tips on how to battle monster-big flatheads to the boat!